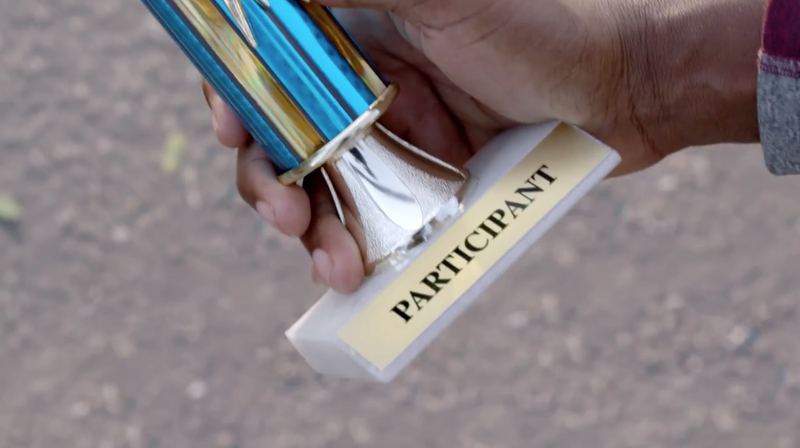 Kia Motors takes on the "participation trophy" culture that's overtaken youth sports in this new national campaign by David&Goliath for the 2016 Kia Sorento, supporting Kia's sponsorship of Sunday Night Football on NBC. The dad in the spot doesn't take kindly to the label on his kid's trophy, since his kid's team didn't just participate—they won all their games. He quickly takes matters in his own hands. A second spot, meanwhile, features a mother pondering whether her son is really cut out for football. Again, it's meant to be a refreshingly honest take on how football parents are supposed to act, versus what they really think. The point of the spots is that football families are more competitive than most. And they don't just drive any CUV—they drive the Sorento, which has the features and accolades to match their personalities. A third spot is forthcoming. The tagline is, "Built for football families." Kia sponsored Sunday Night Football in 2014, but this is the first time the automaker is producing custom creative for NFL programming. Assistant Editors: Glen Montgomery for Will. Eddie Mikasa for Sean.